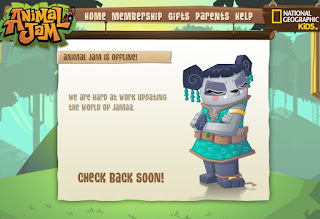 Man Animal Jam has been down a lot today. I haven't been able to log in all night because I keep getting the maintenance or update screens. I wonder what AJHQ messed up this time lol. Also Liza has the cutest pout face evar!